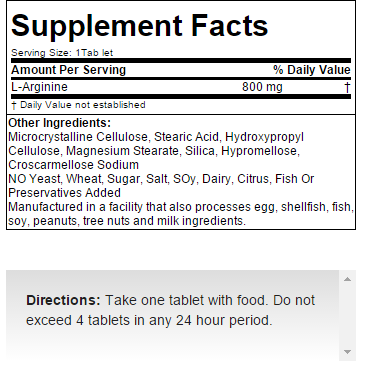 SAN’s Arginine Supreme contains 800mg of Arginine per 1 tablet. Research has shown that supplementation of Arginine (such as with the one contained in Arginine Supreme) assists with increased protein synthesis, helps to decrease protein catabolism (muscle loss) and supports healthy insulin maintenance thus assisting with the uptake of amino acids and glucose into the muscle cells. Arginine Supreme’s anabolic potential makes it a must for all athletes desiring to increase muscle mass while shortening workout recovery time.